That's what the monitor reports as its capabilities via the standard VESA EDID block. You can verify that information by checking the EDID details using other diagnostics software. 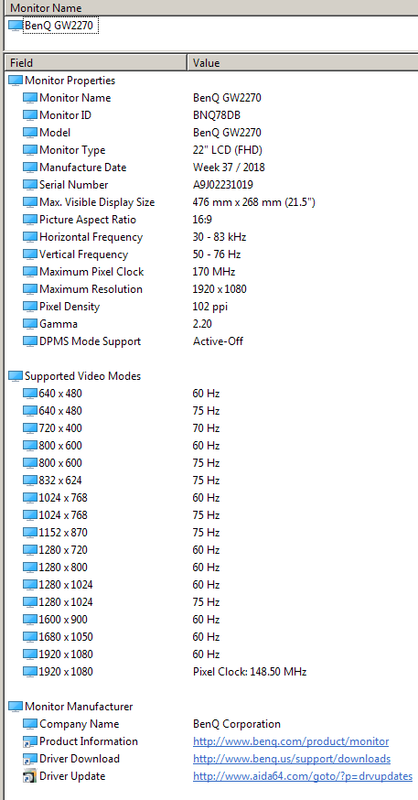 I used DumpEDID, but i do not see "Maximum Pixel Clock" or "Video Bandwidth" info. How do you get this information (170 MHz)? It comes from the "Display Range Limits & Additional Timing Descriptor Definition (tag #FDh)", as dictated by the "VESA ENHANCED EXTENDED DISPLAY IDENTIFICATION DATA STANDARD (Defines EDID Structure Version 1, Revision 4)" document. DumpEDID shows not complete information? What simple utilities can show full info? I don't know tools that would show detailed EDID information. There must be some, but I never tried to find them.